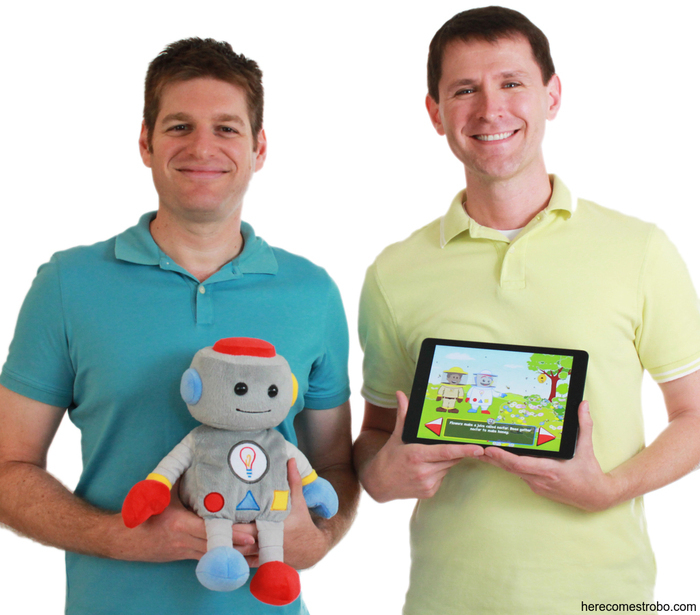 Meet TROBO–a huggable talking plush robot and interactive storytelling app to get kids excited about STEM topics (Science, Technology, Engineering and Mathematics) in the world around them. everything – What is lightning? How do birds fly? How does an iPhone work? They observed that today’s toys and apps don’t help answer those questions or encourage a love of learning. So they realized, “maybe we can build a better mousetrap.” Except, in this case, this mousetrap is a cuddly robot. Launching today is a fund-raising opportunity through Kickstarter to help TROBO (a) complete safety tests, (b) make the plush toys, (c) develop additional scripts and art, and (d) build the infrastructure of the app. There are different investment levels offered. For more information about TROBO, go to the TROBO website. You can also watch the YouTube Product Video. For those unfamiliar with Kickstarter, it is one of a number of crowdfunding platforms for gathering money from the public, circumventing traditional investment avenues. Project creators set deadlines and minimum funding goals. If a goal isn’t met by the deadline, no funds are collected. If the goals are met, money pledged by donors is collected using Amazon Payments. The platform is open to backers from anywhere in the world and to creators from the United States, United Kingdom, Canada, Australia and New Zealand. Kickstarter takes a small percentage of funds raised, as does Amazon. Kickstarter claims no ownership over the projects. There is no guarantee that people posting projects will actually deliver on their projects. Backers should use their own judgment on supporting a project. But with a good project, amazing things can happen with crowdfunding. Gallery | This entry was posted in Education, Science and tagged Crowd funding, Kickstarter, TROBO. Bookmark the permalink.